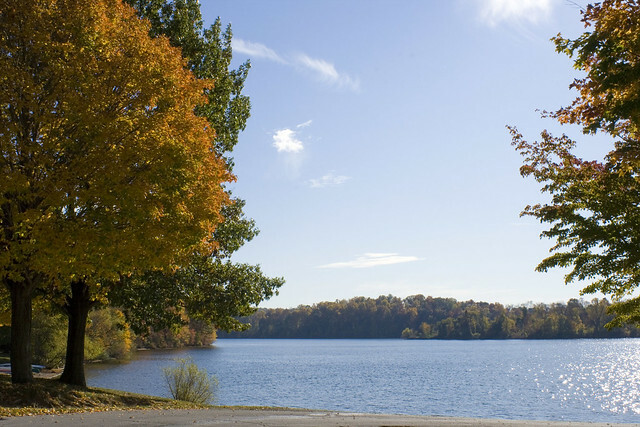 Marsh Creek State Park is in the rolling hills of north central Chester County. The 1,727-acre park contains the 535-acre Marsh Creek Lake, which is a wonderful resource for fishing, sailing, and migrating waterfowl. The pool and other areas are open specific seasons and hours. Contact the French Creek State Park office for facility seasons and hours. The park is about two miles west of the village of Eagle, off of PA 100. Access to the park from the Downingtown Exit 312 of the Pennsylvania Turnpike is via PA 100 north. In Eagle, signs direct you to the day-use (east) side of the park. The horse stable, most trails, and 24-hour boat launch access are located on the west side of the park at 800 North Reeds Road, Downingtown, PA.
Programs are offered April to November. Contact the French Creek park office for more information.